The kitchen layout has completely transformed. From warm to cool the space is now much larger and flows straight into the great room. 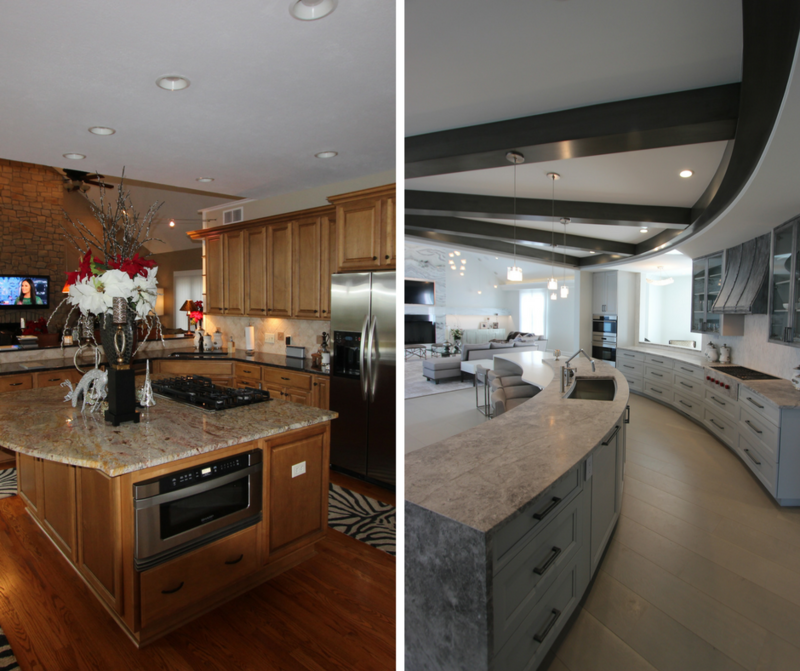 The custom curved cabinetry, handcrafted by our artisans, is topped with a grey travertine paired with white quartz. 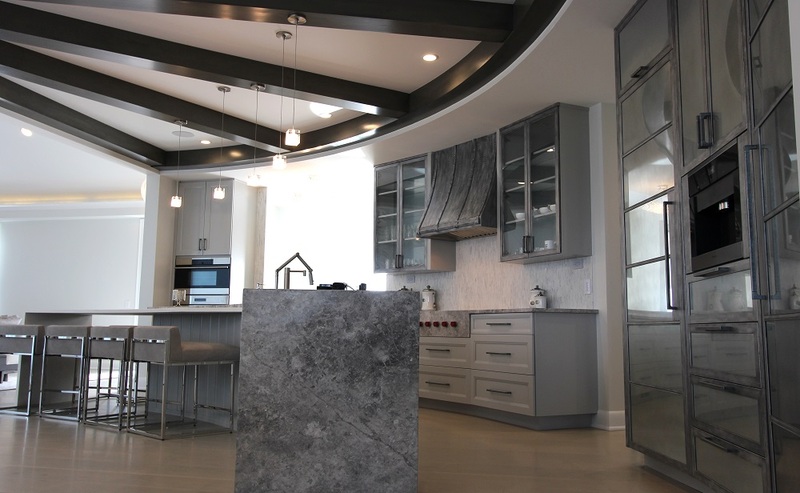 Pewter metal accents can be seen on the glass cabinetry, appliance panels and the custom range hood. 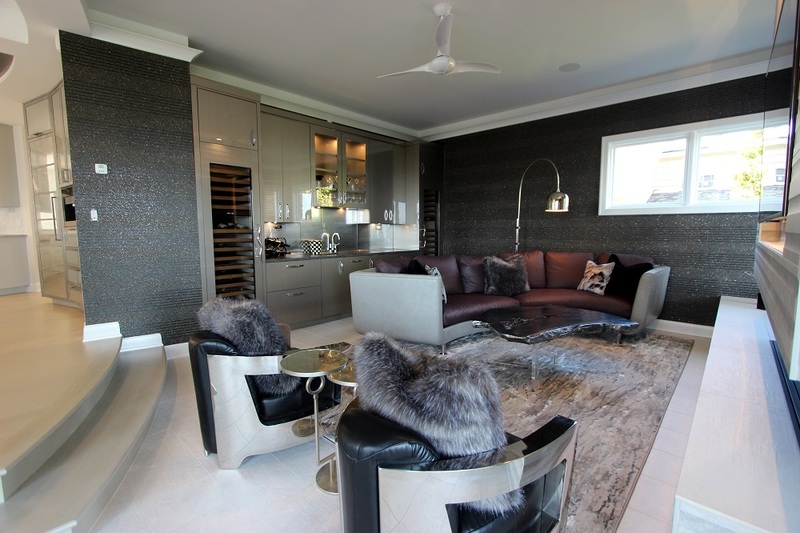 A hearth room was added off of the kitchen which includes a wet bar with custom glossy cabinetry featuring integrated Sub-Zero wine refrigeration. In the great room the more traditional stone fireplace was updated with Ocean Shore Granite which was bookmatched for a stunning effect. 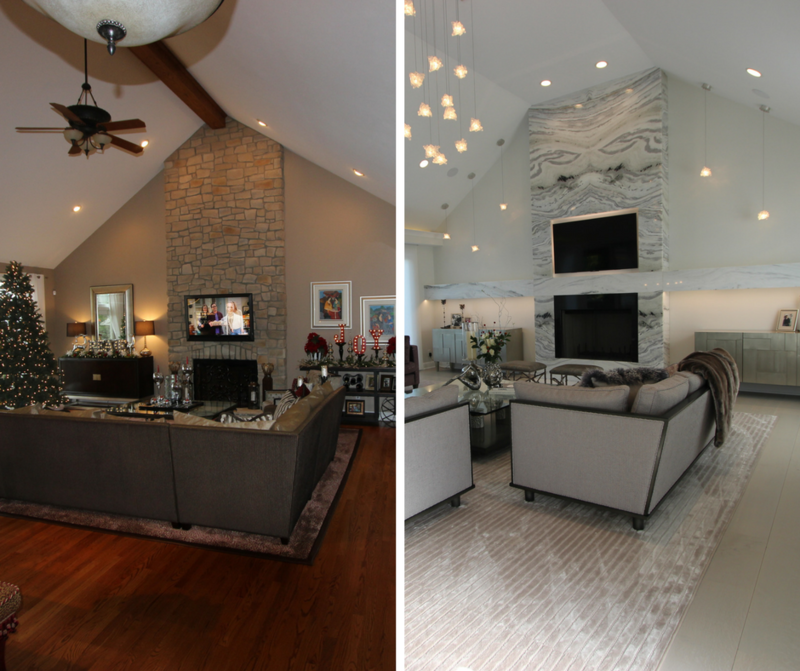 The extended stone mantel stretches across the entire room. 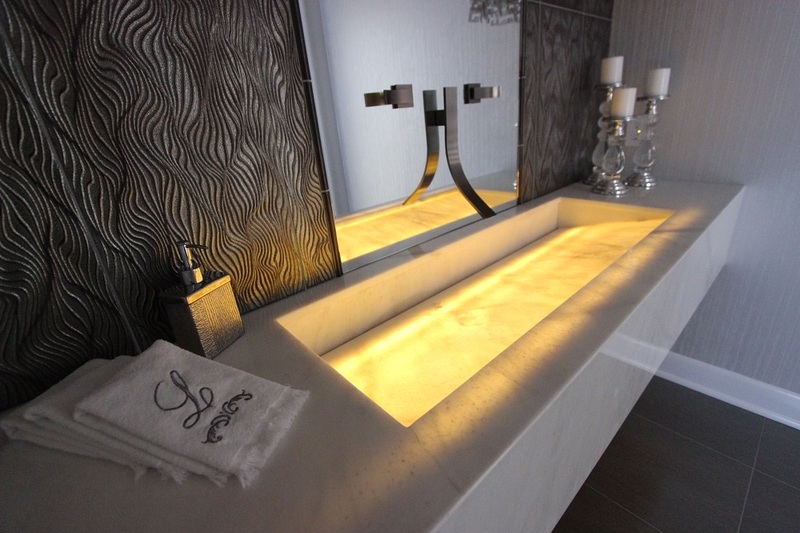 The bathroom’s wow factor is the integrated trough sink that was custom fabricated by our talented stone artisans. Are you ready to transform your home? Call us at 330.225.6000 to speak with a designer or click here to schedule a consultation.